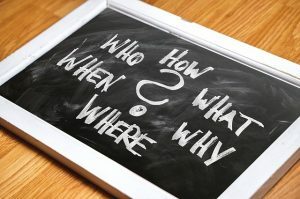 Business owners are often reluctant to ask questions about aspects of running a business, usually because there is a perception they should already know the answer. Of course, this isn’t always the case. So, here are three questions that you may want the answer to about one of the most important aspects of running a business – invoicing. 1. Are There Different Types of Invoice? The simple answer to this is yes, although in most cases it is that same document being referred to by a different name. The most common type of invoice is a sales invoice. It is the invoice you send to a client as a request for payment. Therefore, it includes a description of the goods or services you supplied to the client as well as how much they need to pay you. Sometimes, however, a sales invoices is called a tax invoice. This simply means a sales invoice from a VAT registered business that details the net cost, the VAT to be paid, and the total amount due. Of course, sales invoices can also include VAT information. Another type of invoice you might see, or use, is an interim invoice. You use an interim invoice when invoicing a client for a proportion of a larger contract if the agreement is they will pay you in instalments as the work progresses. When you use this arrangement, the last invoice in the series is often called the final invoice. The final main type of invoice that businesses use is a recurring invoice. This is for situations where you charge a customer for the same products or services at the same price every month. A usage example of recurring invoices is for subscription services. 2. What Should You Include on an Invoice? This is one question that more business owners should ask as there are many examples of invoices that contain unnecessary and/or incomplete information. 3. When Should a Customer Pay Your Invoice? This depends on what you have agreed with your customer. You should do this in advance and you should then put details of the due date on the invoice. Doing this is good invoicing practice that minimises any delays in getting paid. What about payment terms – what should you offer? Ideally, your invoices should be due immediately as the days of offering credit are coming to an end. If you have to give credit, keep it as short as possible – one month maximum, much shorter if you can. Contact us at Gilroy Gannon if you need any further help or information about invoicing or any other aspect of your business. Posted in Small Business, Start up, Startup Business, Tips and tagged Invoicing.